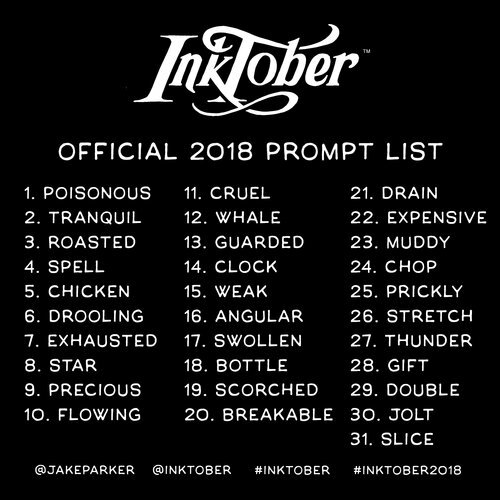 2018 is the first time I have participated in Inktober and for those who do not know what this means, Inktober is an artist challenge that runs the length of October in which artist post an ink drawing everyday to social media. 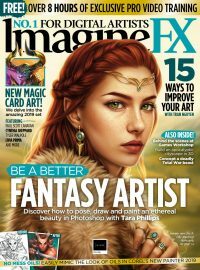 It is a way for artists to force themselves to push out work as fast as possible while and at a steady pace for one month. This is the first year I have had the time to work on this challenge and the first year that I have had the skills and speed in order to do a new drawing everyday. There is list that the organiser posts every year with prompts as to a one word subject for each day that the artist can interpret. 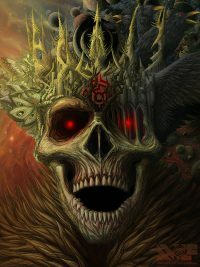 You do not have to follow these to participate but I thought I would to push me out of my comfort zone and force me to do a little more thinking about my illustrations. For Day 1, ‘Poisonous’ I drew a poisonous snail and the only reason I drew a snail was because I didn’t know about the list of subjects until the competition was already going and I started to see other artists posting their submissions. 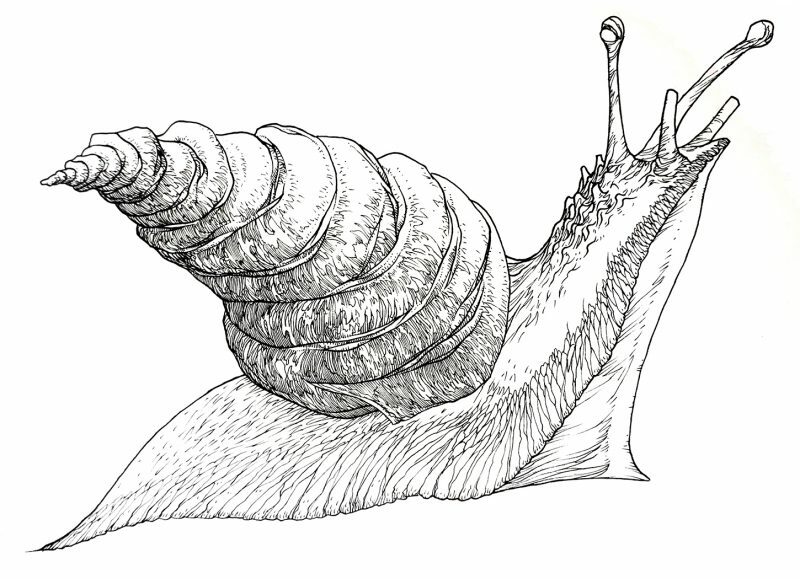 Oh well, snails can be poisonous and this guy doesn’t look too friendly. As for Day 2 the subject was ‘Tranquil’ and after much thinking and going through my photographs I was inspired by my recent hiking trips in the Blue Mountains and the PHOTO of us all having lunch on top of a waterfall. 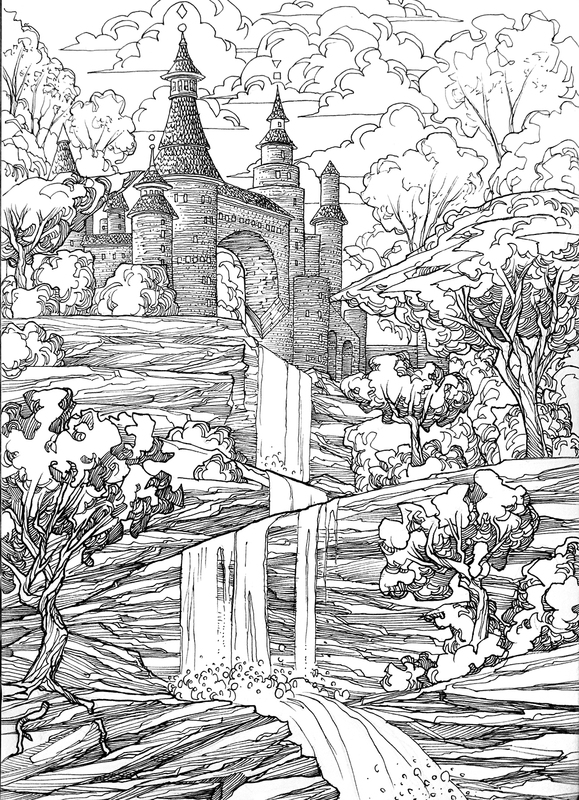 I combined this with a bit of the style of the Pixel Tree illustration that I did a few month ago that you can see in the GALLERY and the castles of the A Delicate Balance series. 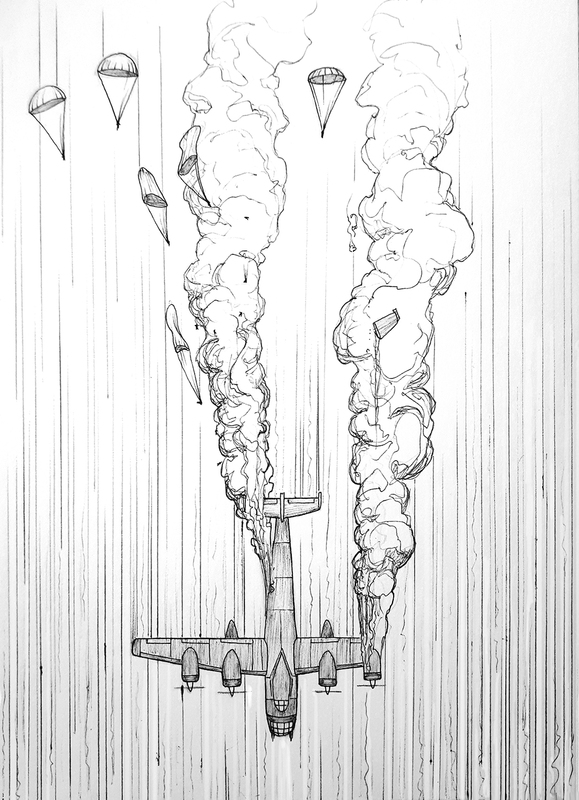 Day 3 subject was ‘Roasted’ and at the last minute I decided to change my idea and do a drawing of a bomber airplane being shot down and bodies flying out of the fire engulfed craft. It is a bit morbid but I did a simple illustration of the plane from afar. I wanted to do something a bit simpler in style after I spent nearly all day drawing for Day 2. I also used a combination of both Micron pens (which I used exclusively for the first two days drawings) and a Bic pen. I will continue to update with posts of these at least once a week with a compilation of what I have done. Here is the list so you can see what is coming up in the future!